Separate the stem from pumpkin flowers. 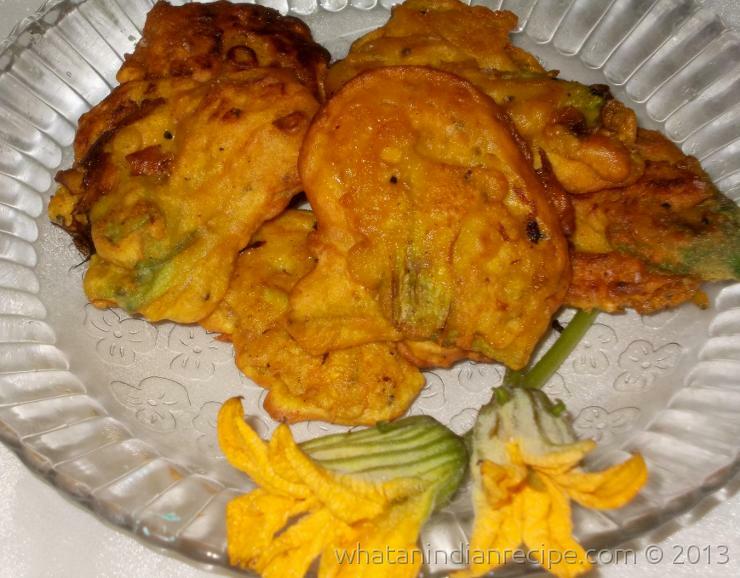 Make a thick batter with gram flour, salt, red chilli powder, black cumin seeds, turmeric powder, rice powder & water. Take 2 or 3 flowers at a time. Dip into the batter & deep fry in hot oil till golden brown. In the same procedure make all the pakoras. Serve hot with khichdi or polao.